Bihar Governor Ram Nath Kovind, 72, has emerged as the National Democratic Alliance’s surprise choice for presidential election. His name was announced by Bharatiya Janata Party chief Amit Shah in New Delhi on Monday. A Dalit leader from Kanpur and an advocate by profession, Kovind is a former president of the BJP Dalit Morcha. He also served as the national spokesperson of the party. He had taken over as Governor of Bihar on 8 August 2015. He was elected twice to the Rajya Sabha from Uttar Pradesh — 1994-2000 and 2000-2006. He was Union Government’s advocate in the Delhi High Court from 1977 to 1979 and Central Government’s Standing Counsel in the Supreme Court from 1980 to 1993. 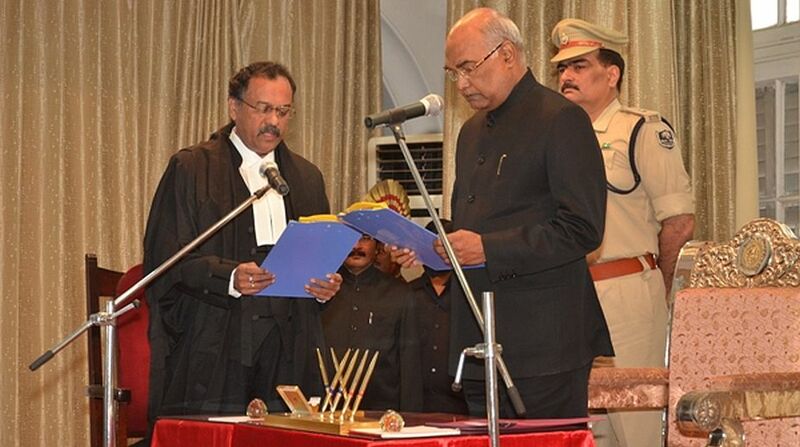 Kovind became Advocate-on-Record of the Supreme Court in 1978 and practiced law for about 16 years until 1993. As per the information available on Bihar Governor’s website, Kovind was born on 1 October 1945 at Kanpur Dehat, Uttar Pradesh. He was married to Savita Kovind on 30 May 1974. Kovind has a son, Prashant Kumar, who is married, and a daughter Swati. He was part of various Parliamentary Committees during his stint as a Rajya Sabha MP.